5) As to why he is so angry, I'm a little embarrassed to tell you. It's part of my story but I got the idea for it from a different source. The scene plays out a little something like this, "Although he thought Nina had a GENTLE and caring demeanor, he heard the SONG differently about his childhood friend." -For those who understand the hint, I was saddened, angered, and embarrassed to come across something like that	years ago, I discovered it when I was only 14. I still regret seeing something like that even to this day. Hope you guys enjoy the artwork. Last edited by Thrillhouse3880 on Fri Oct 17, 2014 5:21 pm, edited 1 time in total. Oooh. Anyone would get mad at that. Uh, it's been five years since it was translated...damn. Five years? Wow... Well in the words of John Hammond, "I really hate that man..." More art to come soon. Last edited by Thrillhouse3880 on Fri Feb 06, 2015 5:23 pm, edited 1 time in total. Fan art of my original character(s) in Breath of Fire 2 setting. Oh Ryu, How could I draw you so poorly? Definitely working on other character designs. 1) Ryu Bateson, as well as all of Township, attacks Kyle and his friends. 2) Kyle was suffering a mental breakdown due to the trauma of a previous, yet pointless, battle. He also was paranoid about how Nina "was avoiding my for weeks...Is she still faithful to my proposal or...no....I pray it is not true..."
3) Kyle worse fears was realized when he witnessed Nina, his childhood friend/fiance, "betray" him in the most "sinful act of human nature." Due to his declining psyche, his hair begins to whiten. 4) Kyle was stabbed by Ryu, almost died from blood loss. 5) His friends, Joseph and Felix, revived him with the help of Kyle's little brother, Gray. Brought back to life but went into a coma. 6)Awoke some time later but finally realized he will always suffer no matter what good he does. 7) "This whole world will know my pain and suffering. They will feel my hate one by one. However, my first step will be the destruction of this pathetic town and all of inhabitants. I am Animus, no longer Kyle Belmont, and I will deliver my judgement." Apparently "Animus" can mean pain, suffering, grief, etc. Thought it would be appropriate for all the crap I'm making him go through. I truly hope I can make this a story someday. Sorry for the Quality Size/Format, Not having a scanner is unfortunate so I'll have to make due with what I have. Last edited by Thrillhouse3880 on Fri Feb 06, 2015 5:25 pm, edited 8 times in total. Side note, i hope I have not broke any rules about posting if this pic was "too violent" or anything. Last edited by Thrillhouse3880 on Fri Jan 15, 2016 5:28 pm, edited 1 time in total. 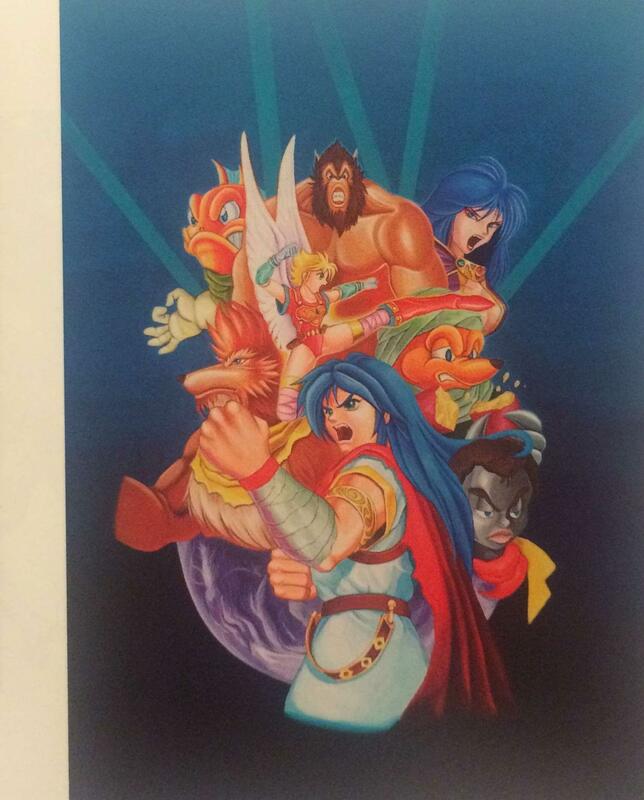 Okay, so I found this pic in my BoF Artbook and well, I just had to share it given how I haven't seen it anywhere on the internet. EDIT: Had to edit because the image size was way too big.